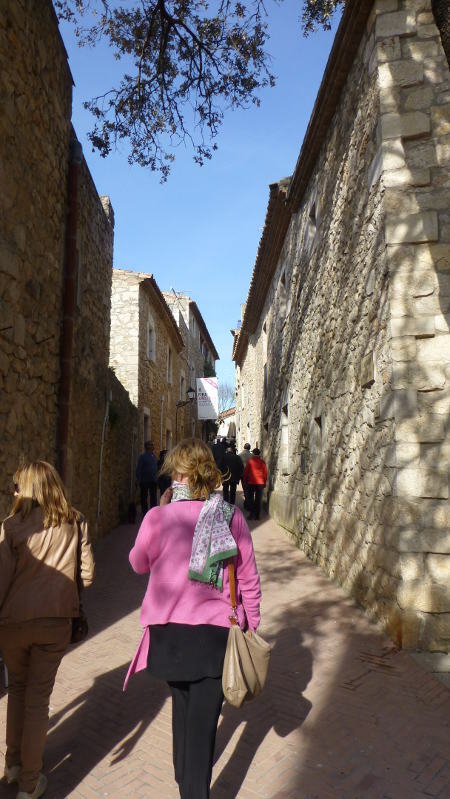 This time, on a bright and beautiful early evening, we began at St. Marti de l’Empúries, an ancient and charming village, two streets’ worth, which is gateway to the Mediterranean. Downtown St. Marti de l’Empúries. Click or tap to enlarge (all images). 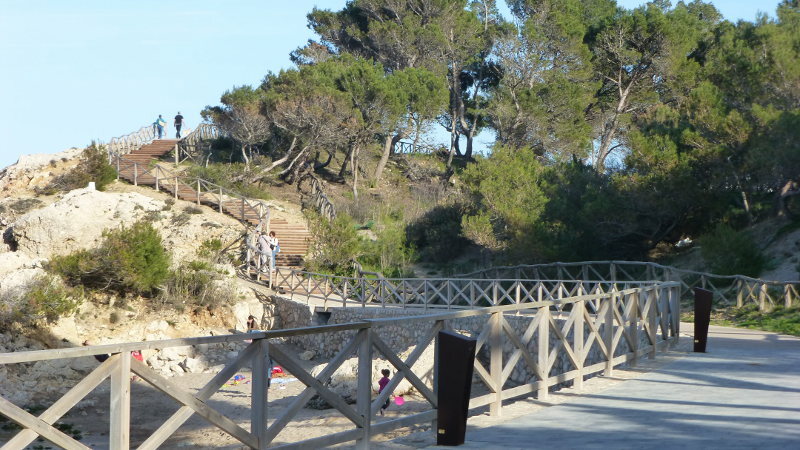 Walkway near St. Marti de l’Empúries. Another brief hike here (getting hungry now) and then a drive to the teeny, tiny town of Cinc Claus (sounds like Santa Claus, but means Five Keys, for the five houses there). We dined at the Mas Concas, formerly the home of Caterina Albert i Paradís, (1869-1966) a female novelist who used the male pen name of Víctor Català so she could get published. Exterior or Mas Concas as we enter for dinner. 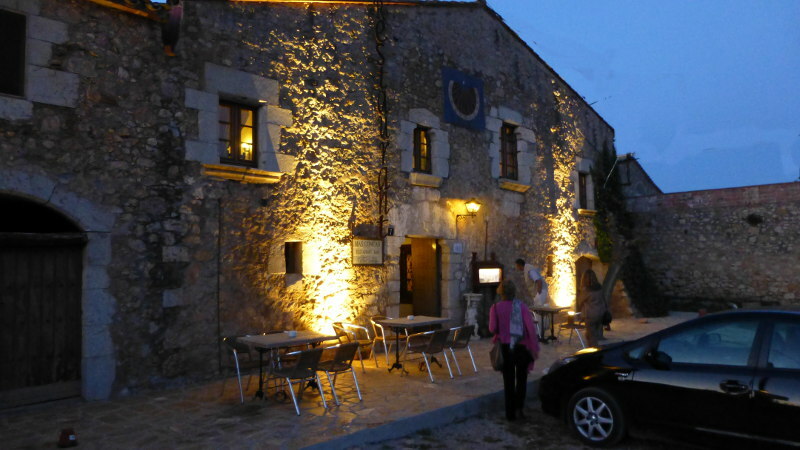 This stunning, quaint, charming, (running out of admiring clichés here) old stone heap is also a gastronomic mecca, headed by the garrulous Catalan chef François Prat. He came out to greet us after our amazing meal of cream of cod soup, shrimp risotto, lamb in red wine, and profiteroles. He told us (in a happy torrent of French, Catalan, and Castilian) that he didn’t want a Michelin star, because that would be too much trouble, but he said “about four forks” would be nice. The price of this multi-course extravaganza was €19,80 each (about $27), plus wine. We stumbled back into Vicens’ Prius for the ride back to town, always grateful for the ministrations of our life-embracing landlords. They hike a lot together, and sometimes for fun Vicens just jumps in the car and goes cruising around the greater Girona and Costa Brava area, looking for great restaurants or for nothing at all. “Looking for nothing at all.” Could be a motto! We look forward to your blogs! thanks for keeping us in the loop! 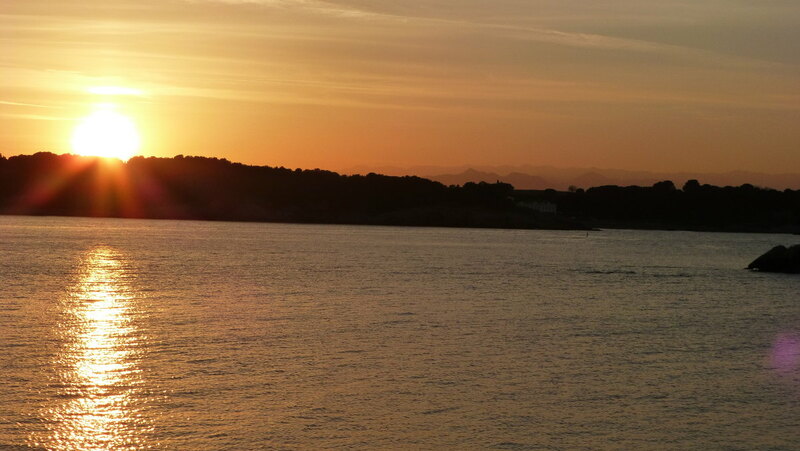 We love that we can see Spain etc through your eyes! Ya know, Brent: Yes, I DO miss that soap a bit. So far, the soap here has only been available in a bottle — you know, the shower stuff — and I prefer a bar. Even Irish Spring would be okay. But hey: change is a part of travel. Embrace it! (Just like the $27 hot food bar at Whole Foods — embrace it!) Good to hear from, My Friend. Thanks for writing, Paula and Josep! 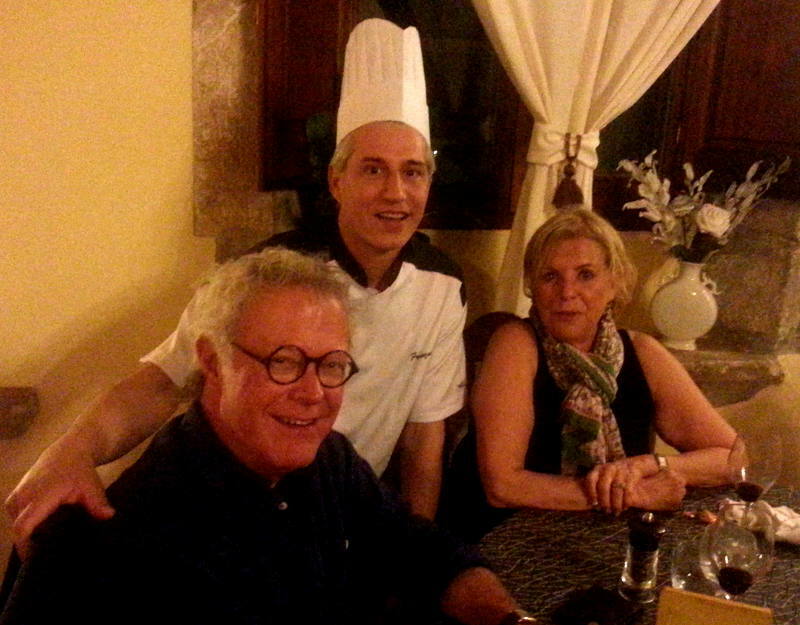 We will definitely be back in l’Escala, and the Restaurant l’Escalenc, very soon.